Staff Selection Commission has finally declared the result of written exam for Combined Higher Secondary Level (CHSL) Exam 2014. The list published by SSC contains the list of candidates who will appear in CPT(Data entry and typing test). Click on below given links to check the result and cut-off. Click here For Written Result on Typing test. 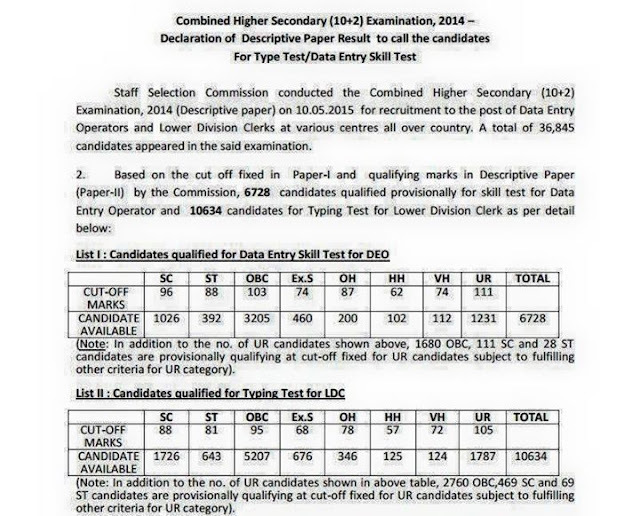 Click here For Written Result on Data Entry Operator. Click here For Cut Off.